A steady influx of new residents and a historically strong economy made Calgary one of the most desirable places in the country to own property. For residents, Calgary has become a city of options. Investors, house-hunters and renters can choose from brand-new detached houses, heritage homes in established neighbourhoods, attached homes and multi-family dwellings, condos, townhouses and lofts. And the rise in mixed-use developments means living outside of the core and living close to work are no longer mutually exclusive. It’s hard to predict where the next 20 years will take Calgary, but in a place known for its entrepreneurial spirit, one thing is certain: It will be interesting. You can compare neighbourhoods with the City of Calgary Community Profiles tool. If you are new to the country, the Canada Mortgage and Housing Corporation’s Newcomer’s Guide to Canadian Housing has an entire chapter on buying a home. Abundant land, forward-thinking urban planners and community leadership have contributed to a wide variety of housing options. On a clear day in Calgary you can see all the way to the mountains — no wonder people who live here love to stretch out. 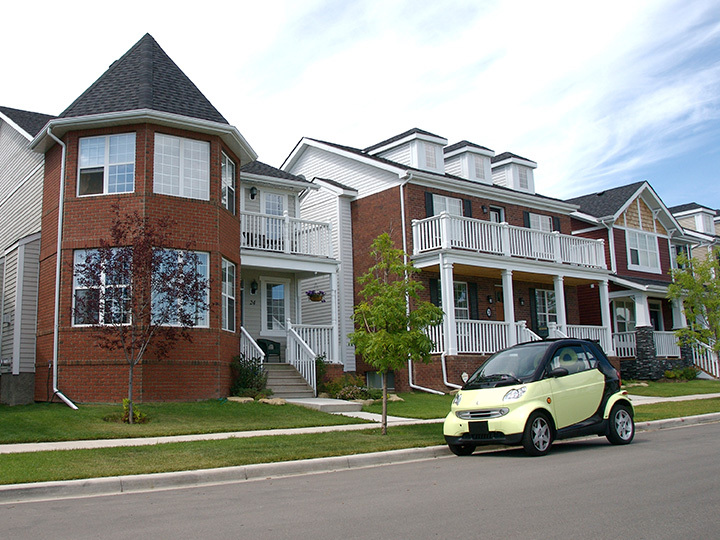 Until recently, Calgary was largely a “single-family home” town, with big yards and wide streets. Attitudes and development plans shifted a couple of decades ago as the city’s population shot up. The early 1990s saw a surge in high-rise condo development and an increasing interest in new urbanism principles, leading to a focus on a vibrant inner city and higher-density suburban development. Developers like Apex Land Corp. spearheaded conversion projects, transforming former warehouses into desirable inner-city lofts. Today, Calgary is showing leadership in innovative urban development. 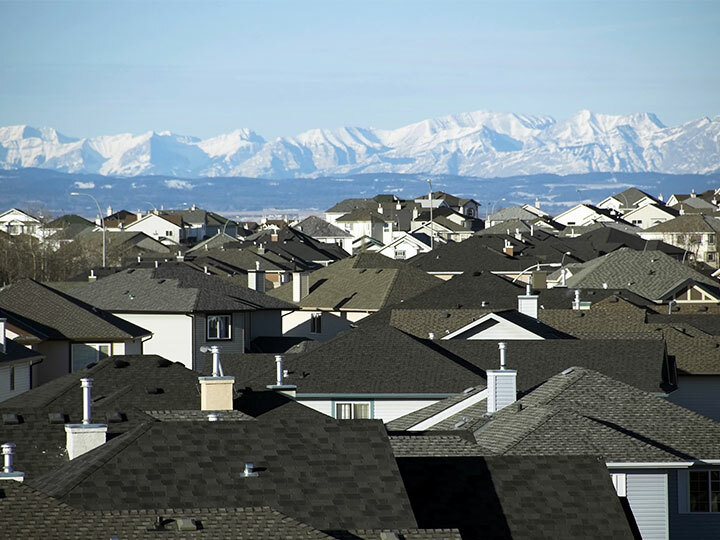 In 2014, the City reported that fewer than 60 per cent of Calgary homes were houses, while 10 per cent were townhouses and 20 per cent apartments. Calgary Municipal Land Corporation (CMLC) is Calgary's go-to placemaker for urban redevelopment, especially in the downtown Calgary communities of East Village and Victoria Park. CMLC is solely dedicated to bringing old communities to life, creating credibility and confidence, and inspiring communities to build, grow and believe. Interested in living in East Village? There are tons of property listings available in FRAM+Slokker’s FIRST, a well-designed living space just off RiverWalk, and Verve, the first EV condominium along The Riff Pedestrian Street. For more information on finding a home in this area, check out the Condos section of their site. 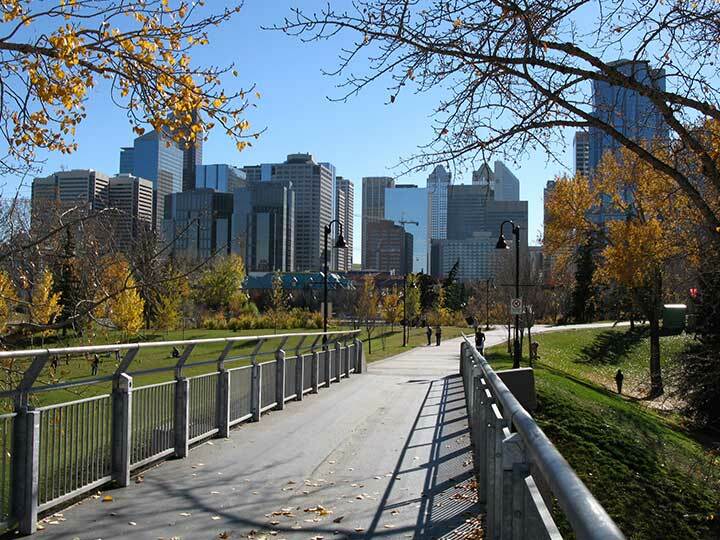 CMLC’s urban design projects in East Village include the St. Patrick's Bridge, the Elbow River Traverse and the Riverwalk Stage 1. To learn more about each project and to see more past developments, click here. Recently, the CMLC completed development of the New Central Library located one block east of City Hall in the cultural hotspot of East Village Downtown. For more on the Central Library, check out our Attractions page. Our community's energy makes Calgary the Most Liveable City in North America (Economist Intelligence Unit, 2018). Looking to start home shopping in Calgary? The best online resource is REALTOR.ca. This website lists available homes in the city, represented by a realtor, and allows you to browse or search by community, home type and price. For home owners, property taxes are calculated and billed annually by the City of Calgary, using your property’s assessed value, found on your property assessment noticed. Community recycling bins are available through the city, sorting not required! Find the recycling bin location nearest you by using Google Maps. Calgary residents have a number of gas and electricity providers to choose from, meaning that rates are very competitive. 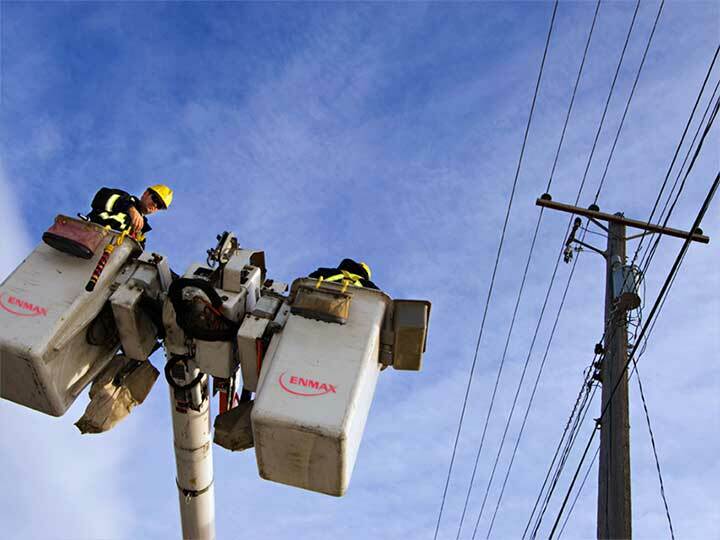 ENMAX, Calgary’s largest energy company, is a wholly-owned subsidiary of the City. Other retailers include: Direct Energy, ATCO, Encor by EPCOR and TransAlta. Well-known telecommunications providers include Shaw, TELUS, Rogers and Bell. Look into bundling services – often it can equal cost savings!